Which Are The Top 5 Smartest Cities in Brazil? The largest country In Latin America, Brazil, began its smart city endeavour long before many smart cities in the world. Since the beginning, the federal government (and the local municipalities) of the region have focused on improving the relationship between the government with its cities and citizens. As they believe that technology and innovation is nothing if it cannot bring quality and convenience in the life of citizens. Therefore, the fourth edition of Connected Smart Cities (CSC) has unveiled the top 5 Brazil smart cities considering 11 development indicators including mobility and accessibility, environment, urbanism, energy, technology and innovation, health, education, economy, governance, security, and entrepreneurship. CSC is a platform that brings entities, governments, and companies together with a vision to find the DNA of innovation and improvement in cities, be it a big or a small! CSC analysed 700 cities based on the 11 indicators and ranked them as per their growth potential. 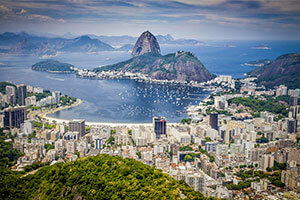 Going further, we reveal the 5 best Brazil smart cities. Curitiba is the smartest, the most connected and the most virtuous city of Brazil in the state of Paraná. The transformation of the city began in 1971 when Jaime Lerner (3 times elected as the mayor) was elected as the mayor of the city. The development followed Lerner’s vision of reconstructing the city in order that it responds to the needs of its people. Today the city has transformed from a small agricultural town into an industrial and commercial centre. The cities development has always followed the path of sustainability. In fact, it has also managed to increase the population sustainably from 300,000 residents in the 50s to 2.5 million in the 90s. Thanks to the vision, Curitiba has one of the most sustainable transport systems in the world. According to Lerner’s goals to reduce road traffic and air pollution, three main roads were designed. First one is to enter the city, the second one is for exit and the third one is a two-way road only for public transport. The buses of the city are classified into direct, fast, few stops and alimentadores (slow buses travelling far suburbs). Moreover, the bus stops were designed into glass tubes that today are a part of a 150 km cycle lane. This has improved the livability standards and reduced pollution tremendously. In 2010, the city received Sustainable Transport Award in Washington. Besides, the city has 55 square meters of green public space per capita. The statistics are much greater than the recommended UN standards. Curitiba has introduced funny-looking trash bins that depict “nothing is trash”. With reduce, reuse and recycle policy the city along with a population of over 2 million citizens is able to recycle 70% of the waste. It is common to see people picking up waste on the streets and taking it to the trash points where they are rewarded with bus fares, fresh vegetables and theatre tickets. This came out to be a successful social experiment helping a lot of families survive. It also involved transforming useless buses into cultural spots like mobile school classrooms and travelling reading space. This won the city UN Prize for innovative recycling scheme. Vitoria the capital of Espírito Santo is situated on a small island within a bay. Vitoria gained the first position for health, second position for education and fifth position for governance. The city was selected as one of the top 5 Brazilian cities due to its role in encouraging innovation and entrepreneurship amongst the entire population. The city has determined efforts in working with startups to create solutions. It has launched multiple programmes that use technology as a tool to reduce bureaucracy. One of the important initiatives called ‘Trabalha Vix’ (Work Vix) provides formal employment offers to people. It has dedicated space to train entrepreneurs in technology, creative economy, tourism and services. The initiative has successfully made more than 3,700 offers until now. The capital of Minas Gerais, Belo Horizonte holds a position within the top 5 smart cities due to the indicators including environment, urbanism, health, mobility and accessibility and entrepreneurship. The city hosts over 300 startups in the neighbourhood of São Pedro which creates a positive atmosphere for innovation in the region. 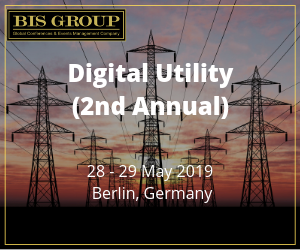 The local government is utilising technological infrastructure in order to curtail bureaucracy and modernise the administrative processes associated with citizens. The initiatives consist of automated systems that save time and use of digital technologies to provide 100 free internet points. Plus, the city is already covered with 700 km of fibre optic cable. Furthermore, the Belo Horizonte has the largest public-private collaboration for public lighting in Brazil. This provides extended technological capabilities on 35,000 lighting points along the major city roads. The main goal of the city is to foster the entrepreneurial environment and create opportunities for IoT solution. São Paulo, one of the most populated cities in the world is using technology to reduce bureaucracy just like other Brazil smart cities. Descomplica, meaning uncomplicated, is the latest initiative of the city that offers over 350 government services to the residents – enhancing the quality of life. The initiative offers services such as parking cards for the disabled and elderly, issuance of municipal taxes and other documents, military service registration, activation of unemployment insurance, application for cards for public transport for students and more. In a span of three months, since the inception, the initiative has already served over 50,000 people. Additionally, the initiative is further extended into Descomplica Digital, a place where working people are trained. They also report the use of digital government services. All the activities under this programme are held within an area of 12,000 metres. A total of 51 posts are managed by 11 municipal secretaries who serve 1700 face-to-face queries each day. 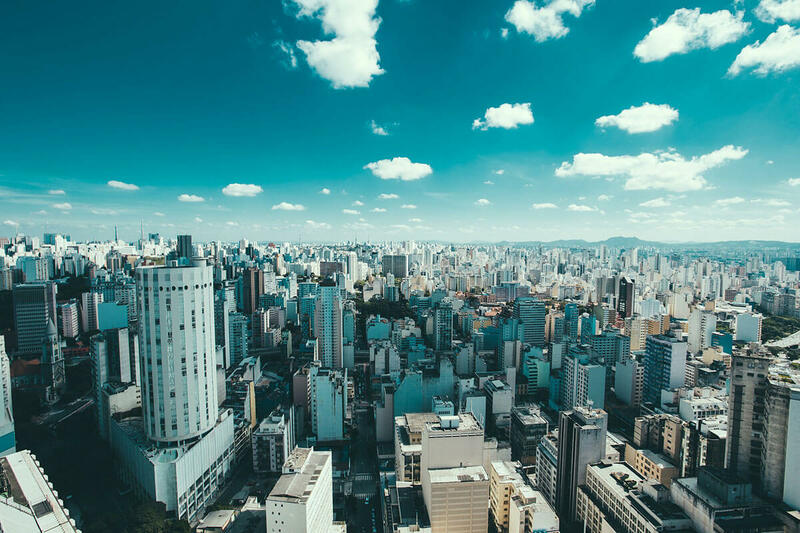 The Smart City Plan of Rio de Janeiro greatly focuses on employing the ICT to connect its citizens with the government – more efficiently. The technological solutions embraced by the city are progressively helping it become a more inclusive place. Under the Smart City Plan, the local government is monitoring the COR (city operation centre) that improves integration between utilities and agencies. This further enhances the decision-making process of the government. The city has also introduced a digital inclusion program that expands the telecommunications network and thereby fortifies the government presence across the place. This program targets the disadvantaged communities in the city by keeping a track on how many people have access to digital services. Besides, the city is making significant progress in transport and mobility sector. It has built exclusive transport corridors while integrating different means of transportation with the introduction of Unified Ticket of Rio de Janeiro. Moreover, the mobility infrastructure has been outfitted with sensors, real-time monitoring of the bus fleet, message signs and cameras. Currently, the MonitorArRio Program is monitoring the air quality of the city from eight fixed stations. All this data is accessible from the website of the Municipal Department of the Environment and published in daily newsletters by COR. The data is highly valuable in identifying emergency situations and warning the citizens beforehand. Although CSC has chosen the top 5 Brazil smart cities, the country has one more smart city that is acclaimed to be the first socially smart city in the world. Let us know more about it in the next blog. Previous articleCan Human Really Build Underwater Cities?